Leading nomination contender just Joe Biden collapsed in the wake of criticism for his remarks recognizing Republican VP Mike Pence as a good guy abruptly reversing course. 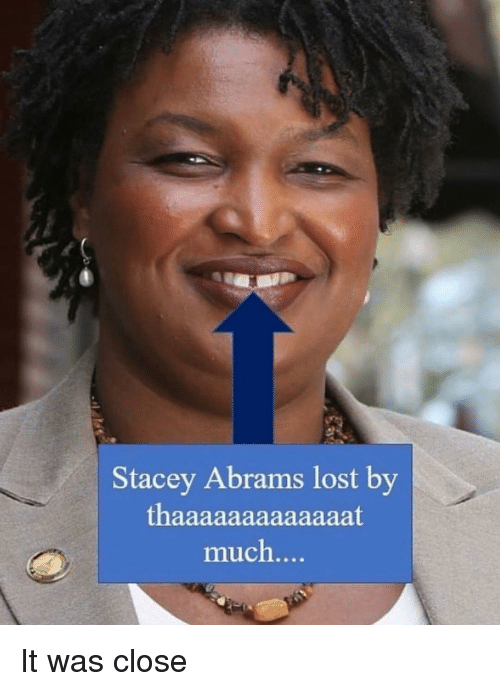 In an attempt to placate the crazed Leftwing leaders of the Democrat party Biden was rumored to being close to naming failed Georgia gubernatorial candidate Stacy Abrams as his running mate. Turned out the rumors weren't true. But the release of the Mueller report summary with the AG determinations offers an opportunity for Biden to crush his competition for the nomination while reasserting Obama era control over the Democrat party. Biden could acknowledge that after an extensive investigation the Trump Russia collusion narrative is dead. He would cushion the blow by reassuring Democrats of the necessity for such an investigation whenever a similar fact pattern emerges. He would then be free to pivot into campaigning on more fruitful issues for Democrats like healthcare and student loan debt. Joe and Jill went up the hill, each with a buck and a quarter. Jill came down with two fifty. oh, finally, that's the exact question that's been keeping me up at night. Oh, pathological hatred of Trump is what animates you. Like it or not Biden would be a serious contender if he decides to run. Biden and Abrams together would have a good shot against Trump in 2020. You would have a popular prominent lib along with an African American. That's gold right there.